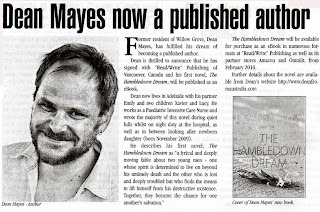 Dean Mayes official press kit here. 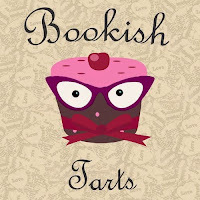 2015 Interview with The Bookish Tarts Podsnuggle discussing being a male author writing in the romance genre. 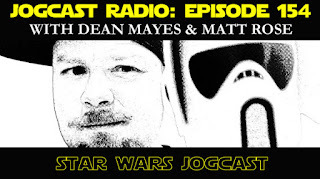 (Right click image to download mp3). 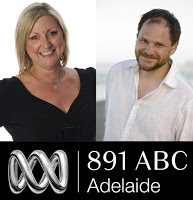 2013 Interview with Angus Randall of Radio Adelaide talking about Gifts of the Peramangk. 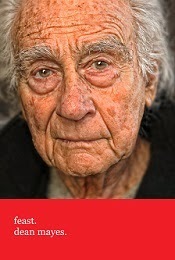 (Right click image to download mp3). Gifts of the Peramangk Reading Guide. 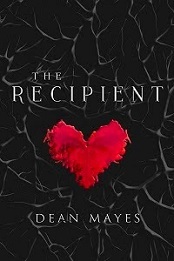 An invaluable educational resource for students, reading groups and libraries that explores the cultural themes that underpin Dean's latest novel "Gifts of the Peramangk". Feature interview with ParaYourNormal (August, 2011). 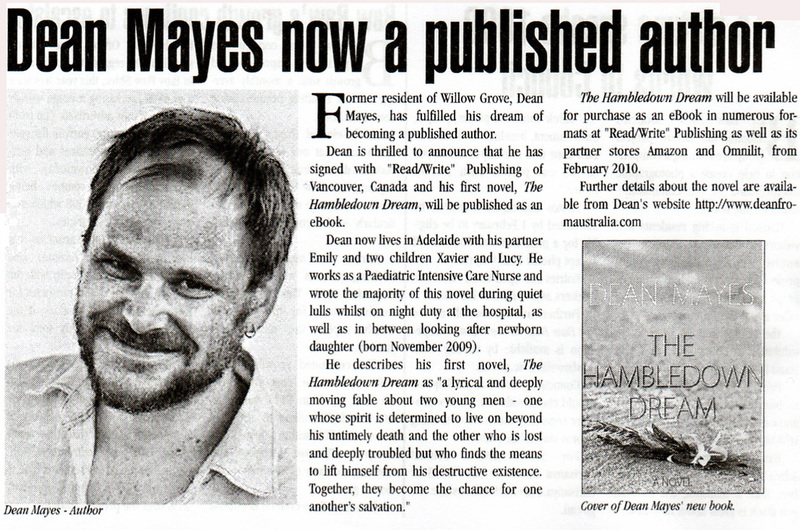 Review feature on The Hambledown Dream at Journey With Books (May 2011). Author interview with Freda Mans (May 2011). 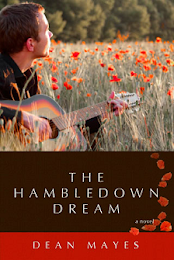 Yvonne Gill of "Fiction Books" reviews The Hambledown Dream. Author Spotlight Feature w/ My Eclectic Bookshelf (May 2011). 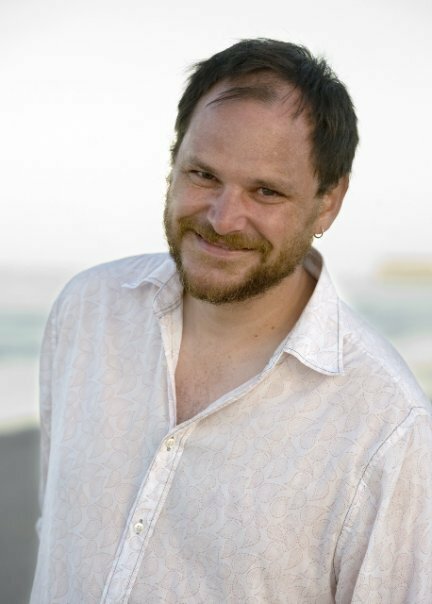 Author Spotlight Feature w/ Steve Drennon (April 2011). 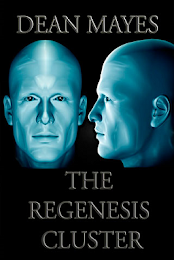 Author Spotlight Feature w/ Michelle Muto (April 2011). 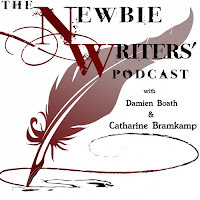 Author Spotlight Feature w/ Paige Crutcher of the National Examiner (March 2011). Author Spotlight and Review w/ Carolina Valdez Miller of Carol in Print (March 2011). 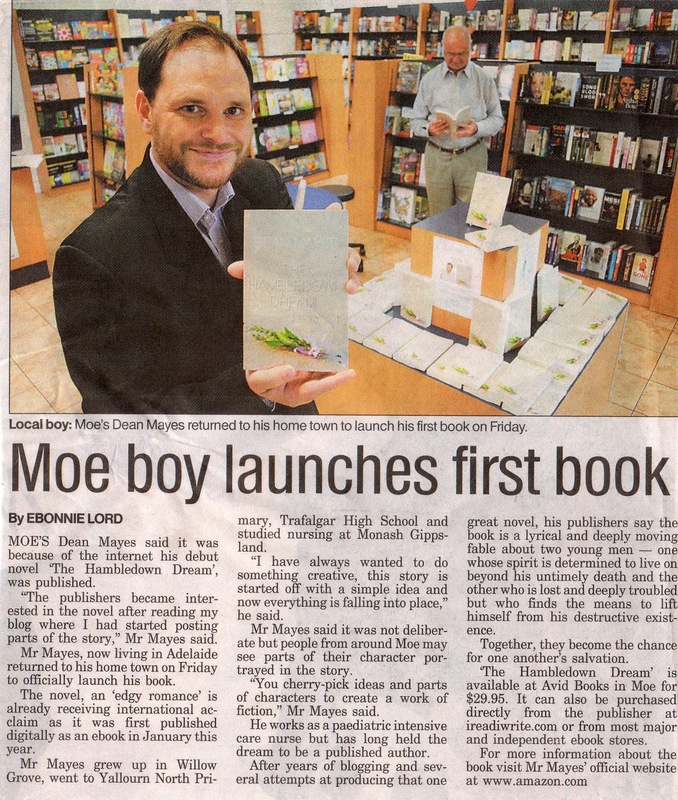 Latrobe Valley Express Article (20/4/2010). 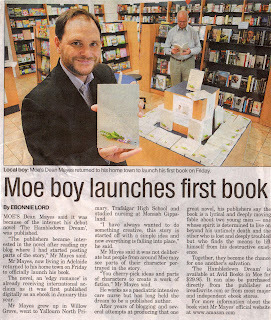 Trafalgar News Article (February, 2010).